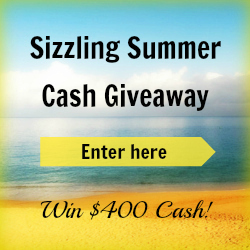 Here we have another amazing giveaway that is open worldwide to win some cash. $400 to be exact. Good luck and enter often. Disclosure: I received no compensation for this publication. My opinions are my own and may differ from those of your own. Java John Z's is not responsible for prize shipment. I am a very traditional person and my home reflects my personality and the bathroom is traditional as well.